"East Randolph Street, Chicago," 2009, photograph, 50x60 in. "Jay Pritzker Pavillion, Millenium Park," 2006, photograph, 32x40 in. "ComEd Steam Plant, South Lumber Street," 2006, photograph, 32x40 in. 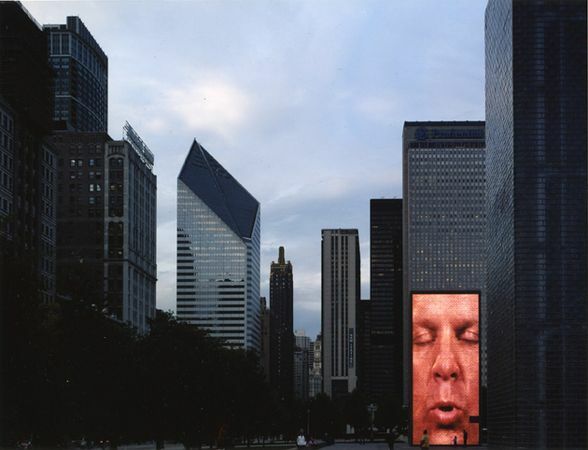 "Crown Fountain, Millenium Park," 2006, photograph, 32x40 in. "West Wacker Drive," 2006, photograph, 32x40 in. "Rue de Clery, Porte Saint-Denis," 1993, photograph, 32x40 in. "Gare Montparnasse," 2003, photograph, 32x40 in. "Rue de la Sablierre, Montparnasse," 1993, photograph, 32x40 in. "Gare Du Nord," 1995, photograph, 32x40 in. "North Avenue at Bucktown," 2006, photograph, 32x40 in. "Eiffel Tower from Montparnasse," 1993, photograph, 40x50 in. "US Cellular Field," 2006, photograph, 40x50 in. "BP Bridge, Millenium Park," 2006, photograph, 40x50 in. "Wrigley Field," 2006, photograph, 20x24 in. "Wrigley Building," 2006, photograph, 20x24 in. "Ira Sapir's Sculpture," 2009, photograph, 20x24 in. "John Hancock Building," 2006, photograph, 20x24 in. "Marais, Rue du Tresor," 2003, photograph, 20x24 in. "Avenue de Verdun, Gare de l'Est," 2003, photograph, 20x24 in. "Theatre de la Renaissance, Porte Saint-Martin," 1993, photograph, 20x24 in. "Chicago Theater, State Street," 2006, photograph, 20x24 in. "Iron Road Bridges, Gare de l’Est," 1993, photograph, 20x24 in. "Ballot Ivan Mestrovic’s The Bowman and the Spearman (1928)," 2009, photograph, 20x24 in. "Musee Rodin, August Rodin’s, Les Bourgeois de Calais (1889)," 2009, photograph, 20x24 in. "Millenium Park and New Wing of the Art Institute of Chicago," 2006, photograph, 20x24 in. "North Cherry Avenue and Sears Tower," 2006, photograph, 20x24 in. "Old Staircase and Glazed Roof Musee de l’Orangerie," 2001, photograph, 32x40 in. "August Rodin’s Portait of Balzac, Gustave Caillebotte’s Paris Street, Rainy Day," 2009, photograph, 20x24 in. "The Evolving Planet," 2009, photograph, 20x24 in. "Old Staircase, Orangerie," 2001, photograph, 32x40 in. 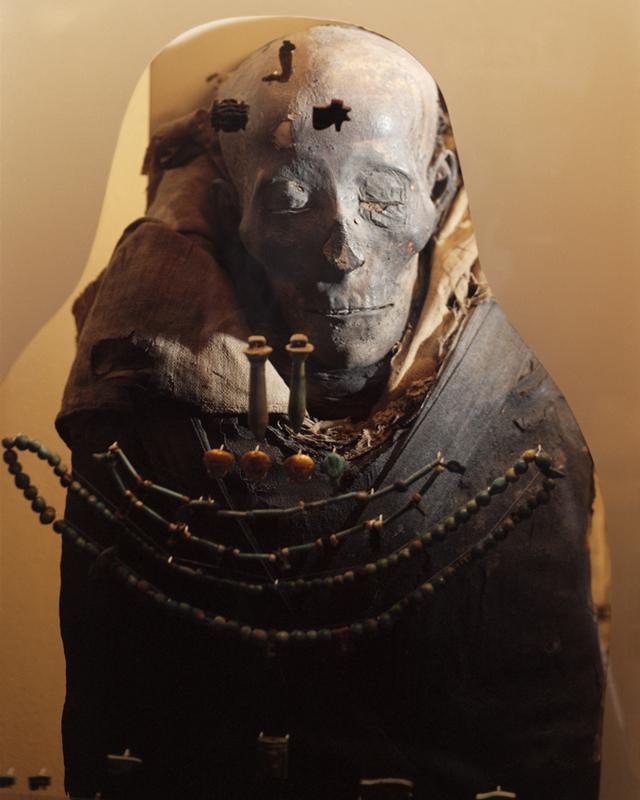 "Inside Ancient Egypt Mummy of Harwa," 2009, photograph, 20x24 in. "The Art Institute of Chicago, Cristoforo Stati's Samson and the Lion (Italy, c. 1600)," 2009, photograph, 20x24 in. "Musee Louvre Pavillon (Courcarree) Salle des Cariatides, (Paris)," 2009, photograph, 20x24 in. "Musee Bourdelle, Emile Antoine Bourdelle's Dying Centaur," 2009, photograph, 32x40 in. "Le Louvre Transfigure," 2002, photograph, 20x24 in. "Field Museum Alsdorf Hall of Northwest Coast Artic Peoples, Salish Totem Poles 19th -19th Century," 2009, photograph, 20x24 in. "Diane," 2004, photograph, 20x24 in. "Bertha Palmer Musee Rodin," 2009, photograph, 20x24 in. "The Art Institute of Chicago, Buddha," 2009, photograph, 20x24 in. "Petit Palais, The Ernest Barrias' The First Burial (1883) and Gustave Dore's Valley of Tears (France, 1886)," 2009, photograph, 24x30 in. "L'eau Grande 1," 2001, photograph, 24x20 in. "L'eau Grande 2," 2001, photograph, 20x24 in. 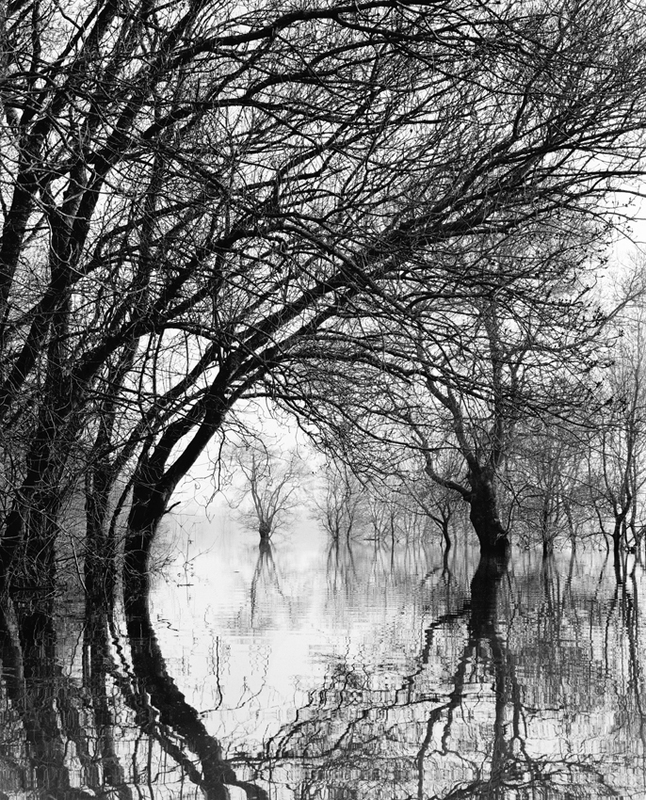 "L'eau Grande 3," 2001, photograph, 24x20 in. "L'eau Grande 4," 2001, photograph, 24x20 in. "L'eau Grande 5," 2001, photograph, 20x24 in. "L'eau Grande 6," 2001, photograph, 24x20 in. "L'eau Grande 7," 2002, photograph, 20x24 in. "L'eau Grande 8," 2001, photograph, 20x24 in. "L'eau Grande 9," 2001, photograph, 20x24 in. "L'eau Grande 11," 2002, photograph, 20x24 in. "L'eau Grande 12," 2002, photograph, 24x20 in. "L'eau Grande 15," 2002, photograph, 24x20 in. "L'eau Grande 16," 2002, photograph, 24x20 in. Ballot is an architect (D.P.L.G.) and holds graduate degrees from the École Nationale Supérieure des Arts Décoratifs and the National School of Image and Sound : FEMIS. In his work, he has traveled and photographed in Chicago, New York, Berlin, Rome, Paris, Bratislava, Singapore, Casablanca, Surabaya, Mount Athos, southern India, the Sahel, and Cappadocia, among other locales. For nearly three decades Ballot has been a part of dozens of solo and collective exhibitions and public collections across the globe including Galerie Beckel Odille Boïcos, Paris, France; Paris City Hall, Paris, France; Institut Français de Casablanca, Maroc; Alliance Française, Singapore; and Galerria del Leone, Venice, Italy.